Springtime in Vancouver is celebrated every time the wind blows and delicate, fragrant confetti floats down from branches to cover our sidewalks, streets, and lawns. The cherry (and plum) blossoms are here and the puffy pink blossoms are forming pillowy canopies, making it hard to resist taking as many photos as you can while they last. The Vancouver Cherry Blossom Festival is coming up as well so I thought it would be a good time to share some information about cherry blossoms in Vancouver. 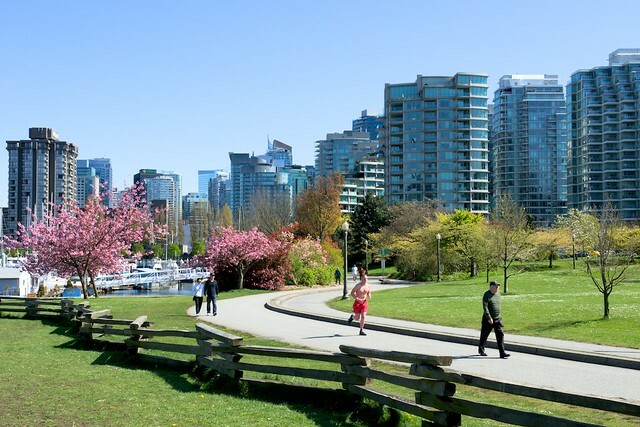 “For more than sixty years, Vancouverites have enjoyed a love affair each spring with the soul-stirring flowering plum and cherry trees that line our streets and grace our parks,” writes Carol DeFina, Communications Coordinator for the Vancouver Park Board, via the Vancouver Cherry Blossom Festival. “In the 1930s, ‘40s and ‘50s, the staff initiated a number of significant cherry tree plantings—provided primarily as gifts to the Park Board. In the early 1930s the mayors of both Kobe and Yokohama presented the Park Board with 500 Japanese cherry trees for planting at the Japanese cenotaph in Stanley Park honouring Japanese Canadians who served in WWI. And so, as the impact of cherry tree plantings began to reshape the city’s landscape, Vancouverites were soon smitten by their fleeting beauty, their clouds of blossoms, as they heralded spring’s arrival each year. How Many Trees Are There? 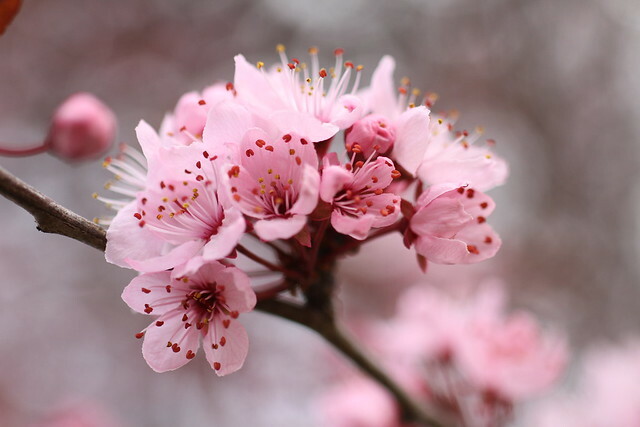 “By the time the Park Board completed its first comprehensive street tree inventory in 1990, nearly 36 percent of the 89,000 trees on city streets were represented by trees of the Prunus genus—the flowering plum and cherry trees. 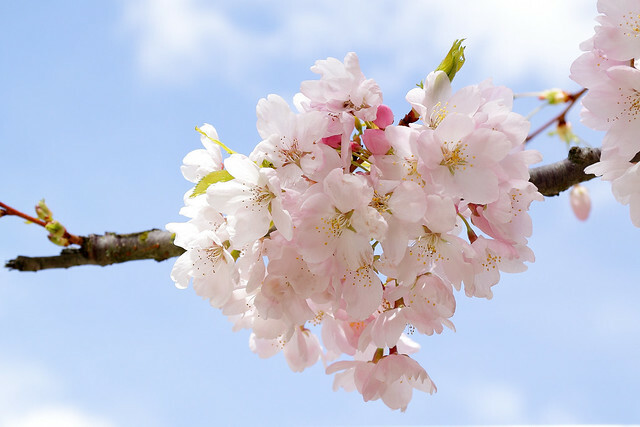 Of the 479 different classifications of trees identified in the inventory, the most common species was Prunus serrulata ‘Kwanzan’, the Kwanzan flowering cherry. (12.6 percent) This was followed by Prunus cerasifera, the Pissard plum. (12.4%). In the 2014 version of the festival’s Ornamental Cherries guide, there were an additional 19 cultivars listed, bringing the total to 54 different varieties of flowering cherry trees that can be found in Vancouver neighbourhoods, with over 40,000 individual trees. Many of the early blossoms in March are actually plum, not cherry. Here is a handy guide to identifying a plum vs cherry blossoms. There’s also a grove along the Island Park Walk at Granville Island, where I took the top photo for this blog post yesterday. It is believed that the world’s first AIDS memorial is in Vancouver, at Cherry Grove in Coal Harbour. Back in 1985, three cherry tree were planted across from the Vancouver Rowing Club to commemorate friends and family who died of AIDS. Musician Mark Kleiner told me last year that the Vancouver Park Board had approved a plaque to be installed about this memorial for which he’s written a song. Do you love the blossoms so much that you want to write a poem about them? 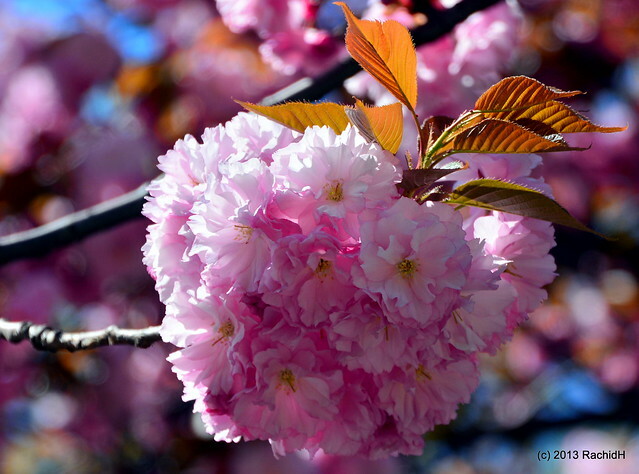 The Vancouver Cherry Blossom Festival’s Haiku Invitational is now open for submissions. 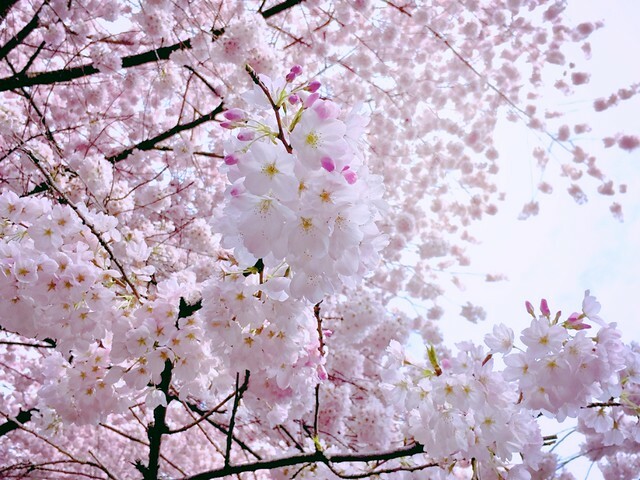 The Vancouver Cherry Blossom Festival has various events throughout the month of April, from the Sakura Night Gala and Sakura Days Japan Fair, to Cherry Blossom Picnics, Bike the Blossoms, Blossom and Bollywood Kite Dance, and the BC Blossom Watch Photo Contest. 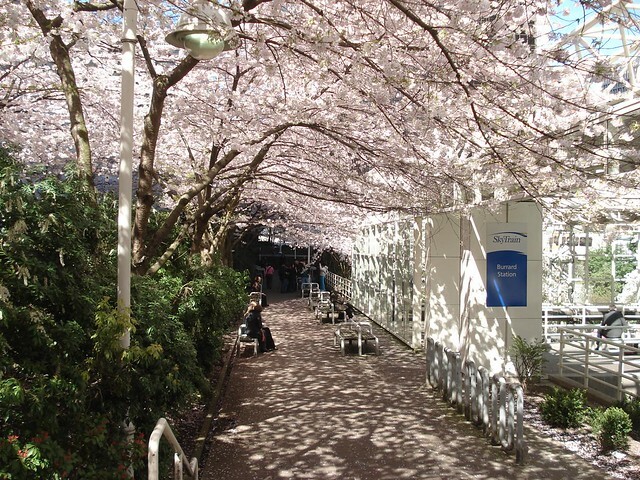 Where Can You Find Cherry Blossoms in Vancouver? Check out the Neighbourhood Maps online and the Blooming Now page to see what is currently blooming in specific locations around the Lower Mainland. Though Toronto has cherry blossoms, they’re mostly in High Park and a few areas of the city. Vancouver is blessed to have so many of them lined up!